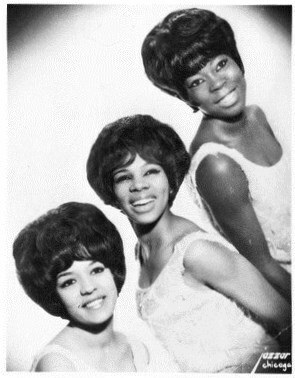 The Kittens emerged from Chicago's west side in 1963 and consisted of Bernice Willis, Joan Montgomery (wife of The Vows' Larry Montgomery) and cousins Laurel Ross and Thelma Mack. Bernice Willis had a splendid gospelized mezzo-soprano voice that was perfect for soul music. The Kittens were managed by Ruth Moore and recorded for her and Bob Lee’s Vick label (distributed by Leo Austell's Renee Records) ”Wait A Minute (You're Getting Careless With My Heart)” b/w “Somebody New”. They later worked with arranger/producer Johnny Pate with ABC-Paramount from late 1964 through early 1966 and recorded four records. Joan and Thelma retired to have families, and Tracy Williams took Thelma's place (just before their last ABC release “Is It Over, Baby?” b/w “Undecided You”. Unfortunately all four records failed. The Kittens switched to Chess Records and worked with Gerald Sims and Carl Davis during 1967-68. They recorded two singles, but both failed. Due to lack of commercial success the group disbanded after that.